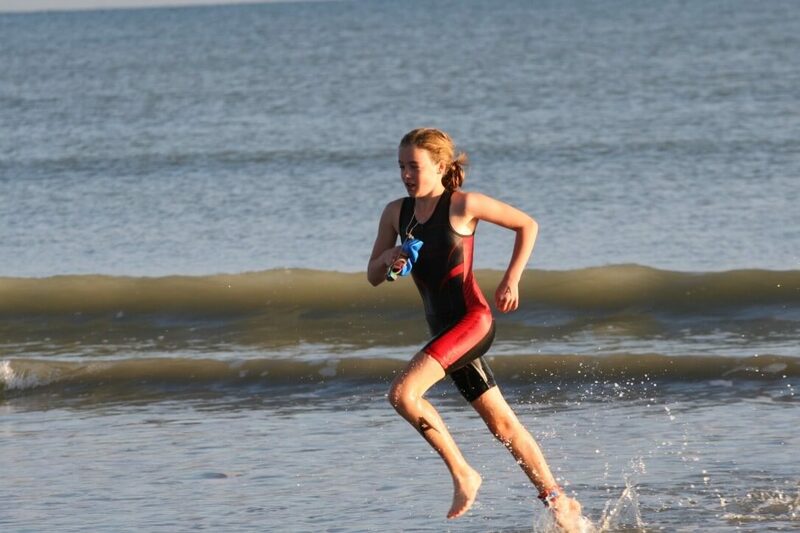 Two Year 8 Rangi Ruru students have taken out two national titles in the New Zealand Schools Triathlon Championships – the final national event for the school season. 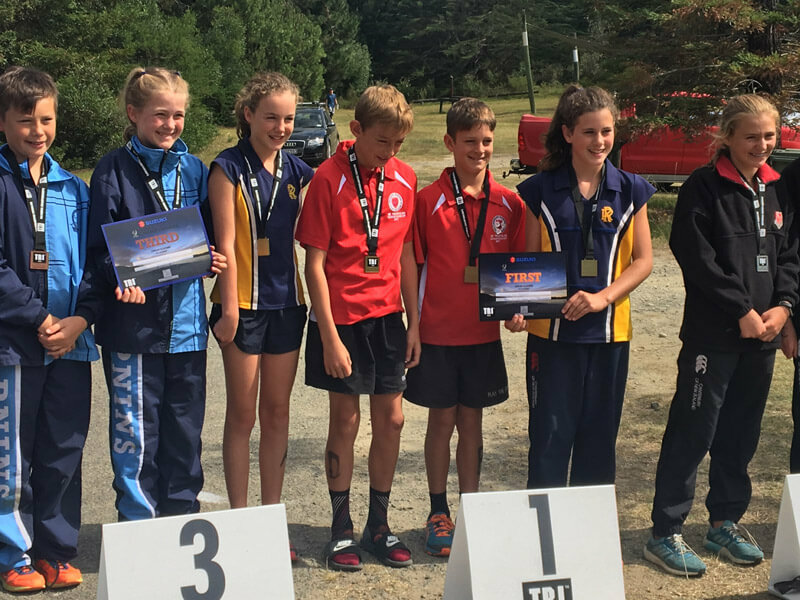 Lily Greenwood won the U12 girls age-group and then she and schoolmate Milly Gallagher combined with two boys from Medbury to win the 2018 NZS Tag Team Tri Under 12 section. This year the championships on March 19th and 20th took place on Rabbit Island where hundreds of competitors from around the country took part, usually very serious competitors with the vast majority from the North Island. 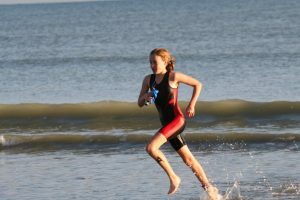 The Tag Team event sees each member completing a shortened individual triathlon, tagging to the next member to complete their section – tagging is passing a timing chip on. 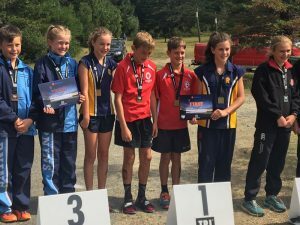 Head of Sport at Rangi Ruru, Jo Fogarty says the Rangi / Medbury combined team was incredibly strong, winning the under 12’s section by more than 6 minutes. Lily’s mum Liz Greenwood says her daughter loves the sport as it provides variety with the three disciplines.